You have previously heard about the documentary exposing Lebanese faking their Canadian permanent residency, and this one just adds to it. Quebec’s healthcare system RAMQ (Régie de l’assurance maladie du Québec) is trying to recuperate around $500,000 caused by the illegal use of the system, which made it the largest fraud in RAMQ’s history in relation to illegal use of the medical card. And guess what, the majority of this is caused by Lebanese. RAMQ has investigated in the recent months around 1,700 immigrants. More than two-third of them, the majority Lebanese, have simulated their presence in Quebec with the help of a fraudulent Lebanese immigration lawyer, the famous now Nizar Zakka. They have obtained a medical card and used it for healthcare services totaling $500,000. 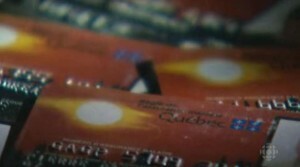 RAMQ was only able to recuperate around $42,000 since most of the immigrants do not live in Quebec. The control of this fraudulent activity will not be easy until RAMQ implements its new barcode card. You can read the investigation report on RAMQ’s official website here. Posted: February 6th, 2010 under Cultural, News. Lebanon was once home to a thriving Jewish community, but its estimated that there are now fewer than a hundred Jews left in the country. So it came as a surprise when the tiny Jewish community announced the rebuilding of one of Beirut’s historic synagogues. Posted: February 1st, 2010 under Cultural.